Unlike the Basic Open Water course, this course stresses practical application rather than theory. This means only one classroom/pool session and five open water dives. This course is ideal for the diver who has just passed their open water course or for those certified divers that wish to further their diving experience and education. Upon registering for class, we'll send an eLearning code so you can start your PADI Advanced Open Water Diver Course online today! eLearning: Begin the knowledge development online study prior to class. One classroom/pool session to review the information specific to the 5 adventure dives you will be participating in, practice the skills you will be using and to discuss the dive logistics for the open water portion. Five open water dives over a 2 day period. Consists of five adventure DIVES, including the Navigation and Deep. The remaining three elective dives will be chosen by you and the Instructor in accordance with local diving conditions. Usual electives are Peak Performance Buoyancy, Altitude, Search & Recovery or Night Diver. Course Fee includes 5 open water dives with a PADI Instructor, 1 classroom/pool session, tanks and weights. Tanks, weights, and weight belts. 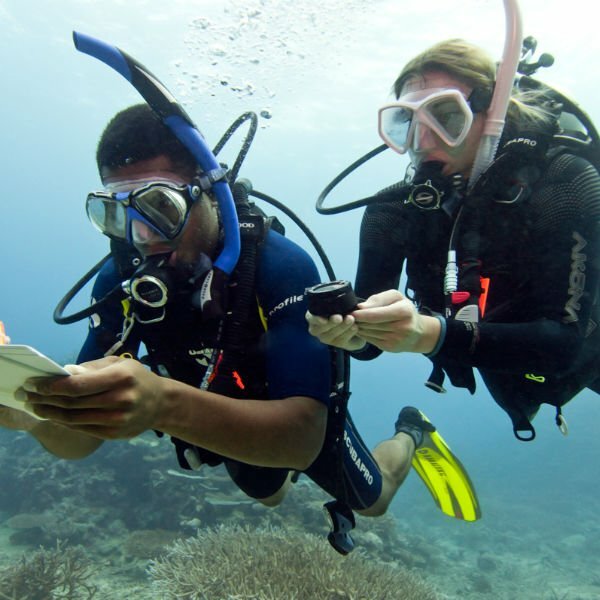 PADI Open Water certification or equivalent. Classes are taught monthly. The Advanced Class costs $339 including materials. Once you register for class, we'll send the Advanced Diver eLearning code so you can start studying today! The Advanced Open Water course is a ton of fun and a great way to build up your knowledge and confidence under the direct supervision of a PADI Instructor. Sign up today or call us at 303-220-8282 and begin broadening your skills and capabilities as an Advanced Scuba Diver.